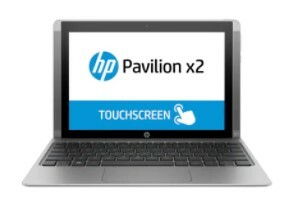 HP Pavilion 10-n100 x2 Detachable PC - This file is a driver for HP Pavilion 10-n100 x2 Detachable PC, Download driver for Windows 10, Windows 8.1, Windows 8, and Windows 7. We are here ready to help you to find more information about the full feature software and drivers packages. Please select the appropriate drivers for your device operating system. Description: The Intel Chipset, Graphics, Camera and Audio driver pack provides drivers to support the hardware installed on systems with Intel processors. This package is provided for supported notebook models running a supported operating system. Description: This package provides the driver for the ELAN Cover Keyboard and Touchpad. The driver enables multi-touch gestures on the touchpad and Mute LED functions on the ELAN island style thin Cover Keyboard with Touchpad. This package is provided for supported tablet models that are running a supported operating system. Description: This package contains the driver installation package for the Intel Bluetooth in the supported notebook/laptop models and operating systems. This package supports systems running Windows 10 v1607 IoT Enterprise. Description: HP Essential System Update installs Microsoft fixes and enhancements for the Windows Operating Systems, as well as providing other fixes and enhancements that are specific to the supported notebook models. These fixes and enhancements are required to improve the performance of supported notebook models that are running a supported operating system. Description: This package provides an update to the HP Recovery Manager application for supported models that are running a supported operating system. HP Recovery Manager enables the reinstallation of original drivers and applications, and creates recovery media to restore the system to factory state. Recovery manager also allows you to recover your system directly from the recovery partition.